The Super cool IM client Pidgin comes with many features but its not at all providing a good notification options. 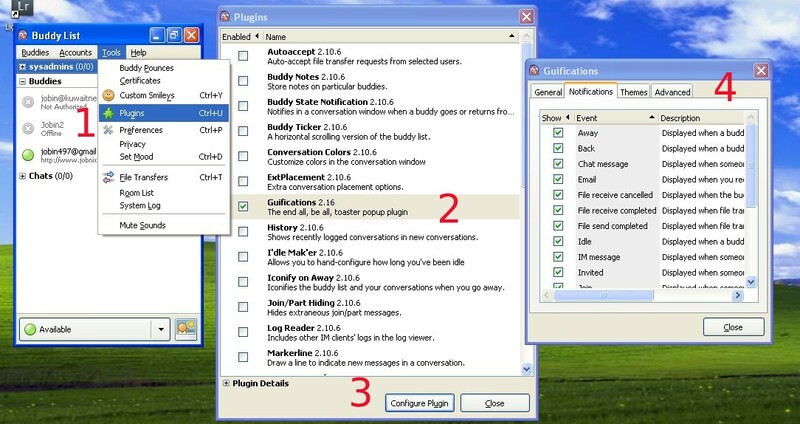 But we have the plugin option in Pidgin and you can simply install the plugin called “pidgin-guifications” to get some advanced notification options. Download the package http://db.jobnix.in/u/18588726/JobNix/pidgin-guifications-2.16.exe and install it.